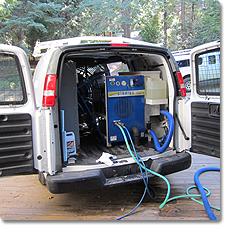 We are happy to announce our new complete steam carpet cleaning service! Our PRODIGY HSR/Power Plus system is the most powerful and versatile truck-mounted machine in the business and our technicians have been certified by The Academy of Textile & Flooring. We offer our services to both residential and commercial clients. 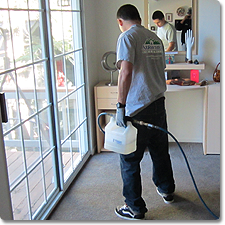 Our basic service includes a complete steam cleaning (hot water extraction) of carpets. Only bio-degradable products are used. We also offer environmentally safe cleaning products upon request. Specialized wood floor, tile, grout, and stone/marble surface cleaning and repairing.